Questions about higher education often put students in dilemma. Concerns over what courses to take post higher secondary education are common among teenagers in India. Over the past two decades, Indian education system has undergone reforms and revamps. You now have a choice of professional as well as degree courses that are suited to various industries. Among such professional courses popular among students is Bachelor of Business Administration or BBA course. The commonest perception among most Indian students that BBA is lower than much-hyped Master in Business Administration (MBA) is wrong. The two courses are totally different in almost every aspect and unrelated. You need not do a BBA to study MBA. These courses do not follow the traditional Bachelor-to-Masters-to-Doctorate hierarchy typical of most university degrees. Before we proceed to learn more about BBA courses, it is vital to comprehend differences between the two. 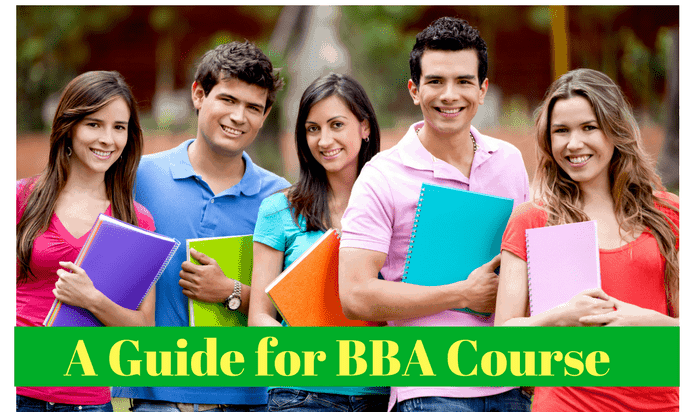 The most salient feature of BBA course is, you need not be working or own a business. In stark contrast, MBA students are generally employed or in business. Employment or trade is a prerequisite for MBA students since they need hands-on training, unlike BBA, which focuses mainly on classroom coaching and individual projects and assignments. India’s topmost business school (B-school), the Indian Institute of Management (IIM) offers a five-year full-time course that integrates BBA and MBA. Called the Integrated Program of Management (IPM), this very specialized course is available at IIM-Indore only. This program is accredited by London-based Association of MBAs and is the only one of its kind in this country. IPM graduates from IIM-Indore are in very great demand and get prized jobs in large banks and industries. Several private institutes have unsuccessfully attempted to copy IIM-Indore’s IPM. Currently, the Indian education system does not offer a broad spectrum of choices for students who successfully complete higher secondary education such as Higher Secondary Certificate or its equivalents. Circumstances, peer pressure as well as nagging by parents coerce them into studying medicine, engineering or other professional courses. However, entry to such professional courses is complex and requires you to pass several exams that are largely irrelevant to your future career. Establishing oneself as a physician or engineer is tough and you need exceptional skills to excel in the profession. Contrastingly, BBA graduates are employed at junior managerial posts by companies small and large, because of their academic and practical knowledge in business management. BBA student are qualified to run a company or handle various components of its operations. Additionally, you will also learn vital problem-solving and troubleshooting skills while doing BBA- something that most employers desire. Thanks to greater awareness over significance of BBA courses and skills they impart, graduates can expect employment almost instantly. Further, a few reputed educational institutes now offer specializations in BBA. NOTE: Several reputed universities in India offer a three-year course called Bachelor of Business Management (BMM). Notably, syllabus for BBA and BMM are almost similar. However, the two courses differ in one fundamental: BBA courses actually prepare students for a career in management. In contrast, BBM studies acquaint learners with practices utilized in the corporate world. Unfortunately, BBA courses are offered by very few reputed business schools (B-schools) of India. However, myriad private universities flourishing across India nowadays offer BBA studies. The flip-side is, to get a great job you will require a BBA degree from a reputed, state-run. The reason being, quality of training at some private colleges and universities was found to be poor. “Barring a handful of top Business schools like the government run IIMs and other few, most of 5,500 B schools in the country are producing sub-par graduates who are largely un-employable resulting in these pass-outs earning less than Rs 10,000 a month, if at all they find placements,” an Associated Chambers of Commerce and Industry of India study points out. A Higher Secondary School (HSC) certificate or equivalent with at least 45 percent marks. Some universities may require higher percentage of total marks in specific subjects. You may enquire with the university or B-school where you wish to study for BBA. Common Entrance Test (CET) as specified by Central or state government or the B-school. Some B-schools conduct their own entrance tests. Hence, you need to seek specific details from the B-school you wish to attend. Fair level of mathematical and analytical skills. Fluency in English language is desirable since it is the most commonly used medium of instruction for BBA studies. Aptitude to work single-handed on projects and assignments since BBA aims at individual development rather than teamwork. Additionally, some B-schools can ask you to appear for a personal interview. The interview generally focuses on your academic performance up to HSC or its equivalent, personal skills and aptitude for managerial positions. Interviewers also try to assess whether you can withstand workloads and work pressures. The amount of money you will pay for a BBA course will vary according to every B-school. Generally, the full course would cost you between Rs. 300,000 and Rs. 500,000 including study material. However, this amount can fluctuate if you add incremental expenses including food and accommodation. Since it is advisable to study BBA at reputed state-run B-schools and universities and rarity of the program, you may have to relocate to another city for a BBA course. BBA courses are very comprehensive. As student, you will cover a lot of topics while doing BBA course. Below, we present a comprehensive list of BBA subjects that will be covered during your three-year study. NOTE: Terms used by various B-schools can be different than those listed above. However, BBA syllabus remains the same. These BBA subjects will be taught at every good B-school that offers the course. Highly acclaimed B-schools such as Narsee Monjee Institute of Management Studies, Mumbai, also include practical training, assignments and projects for students on these BBA subjects. Internship with companies, practical experiences and assignments are generally done by students in the final or fourth year of the BBA course. BBA course students will also have to undertake individual projects based upon these subjects to test their skills and abilities, during the three year study. Various large companies offer internship facilities for BBA students of very reputed B-schools. Some also absorb students as future employees. This is purely your choice. We cannot recommend any specific B-school or university for your BBA course. However, we list some well-established BBA colleges in India that offer BBA studies. Additionally, there are several private BBA colleges, deemed universities and other educational institutes that offer BBA courses. Employability of students of that college/ university. Positions at which former students are employed. Credentials of permanent and visiting faculty. Relevance to your career and areas of interest. The aim of these Distance Education BBA courses is to provide students living in semi-urban, rural and remote parts of India to complete their studies from home. However, Distance Education BBA also requires practical training, individual projects and assignments. Classroom coaching for some BBA subjects is available through private tutors and classes at select locations in India. Several private Indian universities and a few from abroad offer online BBA courses. The price for an online BBA course swings between Rs. 300,000 to Rs. 1 million. As student, you will attend virtual classrooms held online. You need to complete assignments and project work companies and business establish. Online BBAs courses also feature group discussions. Some institutes offering online BBA courses also offer the facility of individual tutoring and mentoring. Once again, check credentials of the private university and its faculty before enrolling for online BBA. Also, find out where former students are employed and their designations, to get fair idea about the institute’s reputation. Needless to say, a BBA from any reputed foreign university such as Ivy League majors like Harvard Business School or Princeton University in the US is sufficient to secure your career for lifetime. Often, studying BBA courses at reputed American universities pays off rich dividends since Indian companies readily employ such graduates. Should you be eager on doing BBA and look forward to a career in specific sectors of the Indian industry, consider studying at any reputed American B-school. Such BBAs are in demand in the US as well a worldwide. Entering a great American B-school is often tough and requires exceptional skills. Yet, this is not an impossible venture, provided you have adequate finances. For some unknown reasons, BBA degree has yet to become widely popular in India like the MBA. That reputed B-schools including IIM, Indian Institute of Technology and Shreyans Prasad Jain Institute of Management Research and Jamnalal Bajaj Institute of Management Studies do not offer the BBA course could be one of the reasons for its retarded growth in India’s education market. Despite, doing a BBA from any reputed B-school in India is a great career option. You can bag a junior management position at any major Indian public and private sector company with a good BBA. Though BBA options are limited in India, now is the best time to enroll for the course for a great career.